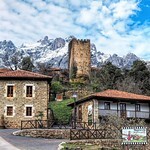 We have selected the best trails for you, with all the information that you need on your hikes. Check our guides! Use our innovative tools to make your own personalised hiking guides. Start planning your next trip! Start planning your trip comfortably online. Once you have chosen or made your personalized guide, you can print it or save it on your mobile device. 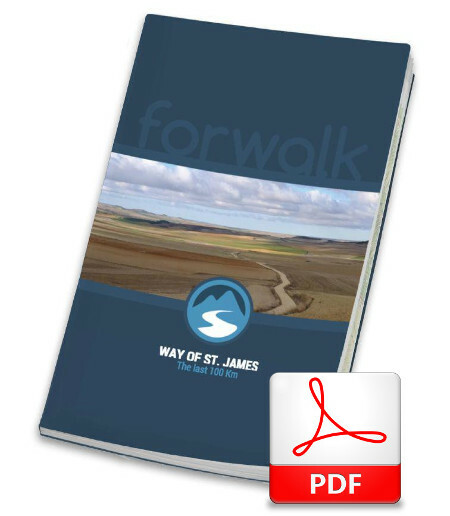 The Forwalk paper guide is an A5 format mini-book with all the information on your chosen paths, the detailed maps, the list of hotels and much more. It is very easy to consult and to carry along during your trip. This guide is completely personalized to your needs and made available to you digitally (Acrobat Reader PDF file), to be accessed through smartphones and tablets or printed by you. You can also order it already printed in color on glossy paper, and delivered to you as a finely bound book. The Camino de Santiago (the Way of St. James) is the name of any of the pilgrimage routes, known as pilgrim ways, to the shrine of the apostle St. James the Great in the Cathedral of Santiago de Compostela in Galicia in northwestern Spain, where tradition has it that the remains of the saint are buried. Many follow its routes as a form of spiritual path or retreat for their spiritual growth. The "Camino de las Estrellas"
Everyone can do it : travelling the Way is an unique experience and everyone can do it: the ones who love sporting and the ones who don’t; the ones prefering walking and the ones who love biking. The services for persons with disabilities and for many different needs make the trip possible for everybody. 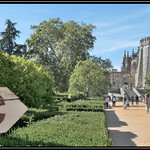 New interesting encounters:there are many travelers on the Way to Santiago every year, all year long. This means an unique opportunity to meet many people from all over the world, with many interesting stories, with whom you could share part of the trip. 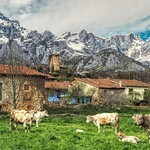 A journey through nature, culture and beauty: the Camino de Santiago brings you through places of breathtaking natural and cultural beauty: the French and Spanish paths on the Way are inscribed on UNESCO’s World Heritage List. A different holiday: travelling the Way offers you a great occasion to visit a beautiful country in total harmony with the nature, while relying on your own strength and few means only. It is an experience that everyone must do at least once in life. Every time it’s an unique experience: You can always do it and redo it again. 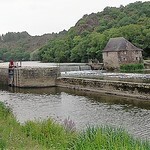 Maybe you have walked the French Way, so why not next time try the Primitive Way? Or do it by bike if you have not done that yet. And you could even travel the same paths in the same way and yet it will be different every time. It enhances your spirituality: Many persons travel the Way primarily for religious and spiritual reasons. Many others however are moved just by curiosity towards the religious sphere or by the desire to explore their spirituality beyond any religion. It brings you closer to yourself: Like many people witnessed already, travelling the Camino de Santiago is ideal to get away from your daily routine. It is an unique occasion for deeper reflection and self exploration, to get to know yourself better and put yourself to the test. It keeps you fit: Travelling the Way makes you practice healthy physical exercise in touch with nature: both by walking or biking you will find out that you will keep yourself fit while having a pleasant and interesting journey. It puts yourself to the test: Travelling the Camino de Santiago is putting yourself to the test, mentally and phisically, and take a break for sometime from your daily life. It is an exciting and fascinating adventure, for which you will need all your determination and strength together with open mindedness and sense of adventure. It will surprise you greatly: Doing this experience means leaving behind the known for the unknown and let everything in the journey: landscapes, people, towns and even yourself surprise you. The Romee Ways are the ancient routes that pilgrims in the Middle Ages walked from all over Northern Europe to reach Rome. Nowadays, these trails showcase some of the finest scenery, food and culture in central Italy. They're not just aimed at pilgrims either. If you embark on a journey on the Romee Ways you will travel alongside hikers, bikers, families and even travelers on horseback. La Gomera is a hiker's heaven. The well-marked trails along old bridle pathways offer walks for every ability. 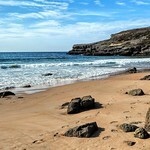 Or you can lose yourself retracing Columbus's footsteps in San Sebastian, where the explorer stopped for supplies. Listen to locals puckering up to perform their "Silbo" whistling language, or simply walking with gaze out to sea in the sunnier south. Help us improving our visibility! The more the users the more accurate the information that Forwalk provides. Follow us on Facebook, Twitter and Google plus and invite your friends to do the same! Get in touch with Forwalk! Not only are we happy to provide you with the information you might need, your comments, suggestions and ideas for improvements are always very welcome!